The study was carried out to identify good practices that foster the performance and sustainable operations of producer groups, formed to enhance the competitiveness of smallholder farmers, and to identify future pathways including constraints and opportunities for the scaling-up of producer groups initiatives under IFAD-funded projects in the Lao PDR. 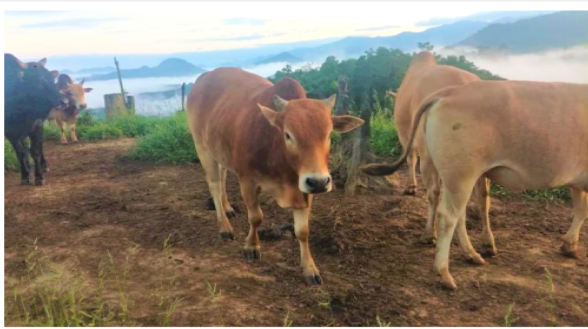 In this study, livestock producer groups in Xiengkhouang and Luang Prabang Provinces were selected as case study. Qualitative research methodologies have been applied in this research. To effectively guide the data collection, the structure of the livestock trade was mapped to enable the identification of key informants in the livestock chain. The findings of the survey show that the key factors influencing the performance and sustainability of studied livestock producer groups can be divided into internal and external factors. Main internal factors include: available technical knowledge and experiences of the management and the members of the livestock producer groups; the absence of clearly defined tasks & responsibilities; the (limited) level of understanding of members about the objective and goal of the group formation and being a group member; the (limited) management skills of the group management board. The main external factors were: lack or in-accessibility of supporting services such as: Infrastructure development, access to credit, inputs services supply; level of market demand determining profitability of collective production functions, the level of conducive policy frameworks; and existing opportunity cost (alternative income generating activities that are competing for scarce household resources). Based on the above findings, following recommendation were suggested: 1) Capacity building for the group on group management skills, market literacy and technical skills on livestock raising. Capacity building need to be in form of on-the-job coaching and mentoring; 2) Market oriented objectives and activities are required as incentive to group members and for the (financial) sustainability of groups; 3) measures to enhance the capacities and skills of PAFO and DAFO in market systems/value chain development, participatory group formation and leadership development, are required to enable PAFO-DAFO to deliver foreseen support services effectively. The Study has been completed by researchers from the Faculty of Agriculture, National University of Laos in October 2018.